We are the only company registered and based in Gibraltar offering sail repairs, we are also the sole agents for the UK sailmakers loft in Malaga, we can offer a full repair service to sails of all sizes, spinnakers, Genoas, Mains from dinghies to super yachts, modern, classic, cruising and racing. All cloth types in stock, Dacron through to laminates and membrane sails to order. Small repairs and canvas work can be carried out in Gibraltar, larger jobs and new sails are made in the main loft in Malaga, headed by World Champion sailor Andy Longarela. A full rig measurement service is available as well as detailed canvas work measurements. For vessels in transit, rigs, sails etc can be measured, sails ordered, made and delivered to your next or final destination, backed by the world wide UK Sails guarantee and service. Vessels remaining in Gibraltar can benefit with our now weekly delivery and collection service to and from Malaga. We use all UK Sails on board our successful and very competitive race yacht Seawolf, Pronavia 38, this has now become the test bed for the latest technology in sail cloth and sail manufacture with regular sea trials ensuring the standard of production and high accuracy of design is maintained. This on going development is relayed back to the UK group from all world wide testing, resulting in a data base of information unmatched by other sailmakers. 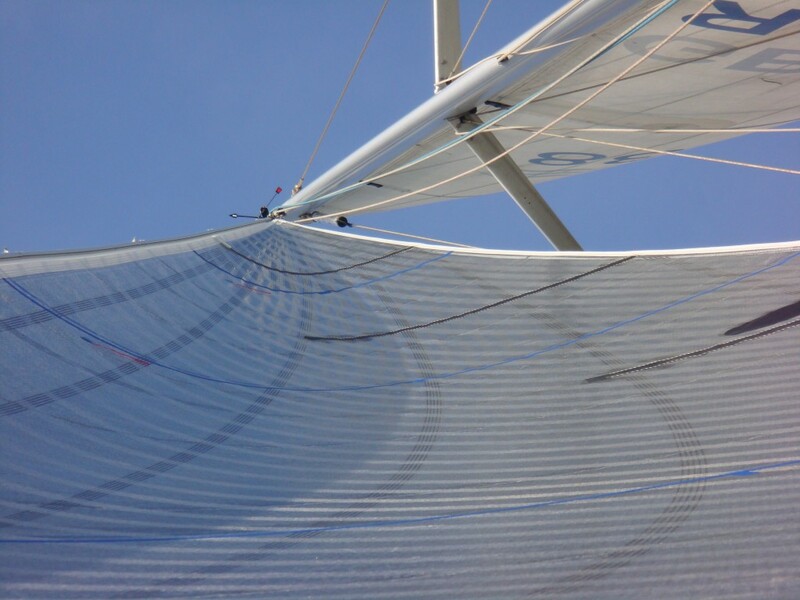 This data base ensures that all new sails are designed and built with up to the minute processes. UK sails only use high quality German, American and French sailcloth primarily from Dimension Polyant with membrane sails being made in there own state of the art lofts in France, Hong Kong and New York. UK sails never use the now abundant poor quality Dacron coming from China, beware of too good to be true low prices! !